Human-caused climate change is happening right here, right now. Weather records from across Canada show that every year since 1998—that’s 20 years ago now—has been warmer than the 20th century average . This means that a whole generation of Canadians has never experienced what most of modern history considered a “normal” Canadian climate. But it’s not just Canada, of course. The whole planet is getting warmer. Determining the average temperature of the entire planet is an amazing scientific achievement. The data used to calculate the average comes from a variety of sources. Air temperature is recorded around the world at weather stations and by weather balloons. Ocean temperatures are measured using thousands of buoys and ships. Orbiting satellites continually monitor the ocean and air temperatures all over the world. Various independent international research organizations collect and carefully analyze these millions of measurements to determine the overall temperature of Earth [2, 3, 4]. 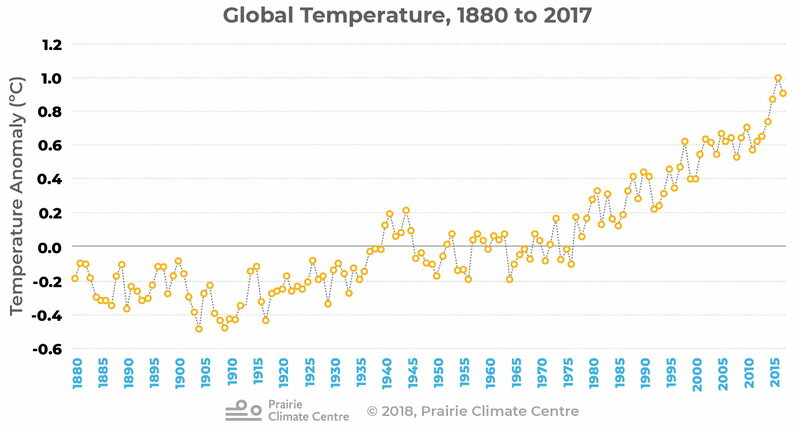 These records clearly show that Earth has been heating up for more than a century, and especially over the last 50 years. In fact, 17 of the 18 warmest years on record have occurred since 2001 [5, 6, 7]. Global estimates of mean annual land and ocean surface temperature from 1880 to 2017. Values are displayed as departures from a 1951-1980 baseline period. Source. This modern global warming is a sudden departure from the temperatures that have been typical for the past 10,000 years . And, unlike other climate changes that have occurred naturally throughout Earth’s long history, human activities are responsible. Our planet's climate is influenced by many natural factors, including the Earth's tilt, its orbit around the sun, large volcanic eruptions, and changing ocean currents. Because we know a lot about how these forces work, we also know that none of them explain the sudden, recent warming of the globe . 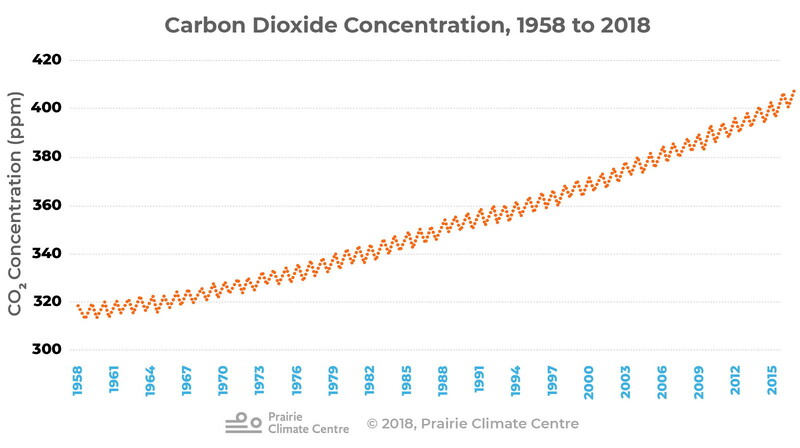 And there’s only one explanation for why carbon dioxide concentrations are on the rise: the combustion of fossil fuels by humans. How do we know this? By examining carbon atoms, scientists can tell whether the carbon dioxide in the atmosphere came from fossil fuels. Research shows that the amount of carbon dioxide released by burning fuel has skyrocketed over the past couple of centuries, intensifying the greenhouse effect and warming the planet. We know that human-caused increases in greenhouse gas concentrations are causing global warming because no other factors explain the warming. The climate science community is made up of researchers from geology, astrophysics, oceanography, atmospheric physics and many other disciplines. 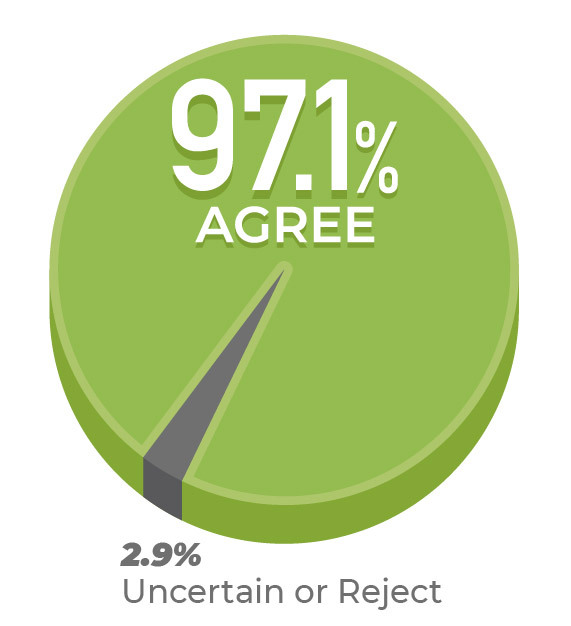 Surveys show that 97% or more of these scientists agree that the planet is warming and that human beings are the cause . This is an amazing amount of agreement, because scientists advance our knowledge of the world by challenging each other’s evidence and ideas. They don’t just agree with one another without very good reasons. Only solid conclusions win this kind of massive acceptance, and only then after years and years of testing and review. For the past thirty years, the Intergovernmental Panel on Climate Change (IPCC) has been assessing scientific evidence about climate change. The IPCC is an international panel of experts that rigorously reviews and interprets peer-reviewed climate science research. It puts out regular reports about the state of climate science, the impacts of climate change, and policy recommendations about adapting to and mitigating climate change . These reports reveal the tremendous amount of evidence that the Earth is warming and that humans are making it happen. We sometimes hear about global average temperatures changing by two or three degrees. This might sound trivial, but those small-sounding numbers can translate into massive real-world impacts. The climate determines almost everything about how we live, work, and play. We build our cities, factories, and highways to suit our climate. We are dependent on predictable weather patterns for our food supply. The plants, animals, and ecosystems of the world have adapted to climate conditions that are suddenly changing. Melting permafrost, threatening northern buildings and transportation and releasing methane, which further accelerates global warming. East and West coast sea level rise, threatening to flood cities, increase storm damage, and accelerate erosion. Increased activity of pest and invasive species, posing risks to our ecosystems and our economy. More variable and more extreme weather, with increased risk of weather-related catastrophes such as droughts and floods. Hotter summers, bringing increased risks of heat-related health problems as well as longer and more severe forest fire seasons. The climate threat is real, but so are the exciting possibilities to find new and creative approaches to living together with health and prosperity within the limits of the natural world. We need to demand and support collective climate action in our communities, cities, provinces, and Canada as a whole. Climate change is a large-scale problem, but it’s also a direct result of our collective choices and actions. That means that we can make a difference. The most important thing we can do to prevent climate change from getting worse is to reduce greenhouse gas emissions. Cutting back on emissions will demand a wide range of approaches, ranging from replacing fossil fuels with renewable energy, to rethinking how we plan and build, to figuring out how to be more productive with fewer resources. We can all support the transition to a low-carbon energy economy by welcoming and insisting on using renewable sources of energy wherever possible, reducing our collective reliance on the high-carbon fuels that pose such a serious threat. Canada’s national and regional carbon pricing plans are one possible approach to help us make this transition. An effective carbon tax can help wean us off fossil fuels and at the same time raise money to invest in much-needed low-carbon technologies and ideas. It is important to realize that the greenhouse gases we have already released guarantee that at least some climate changes are underway and more change is unavoidable. Adapting to this new reality requires us to take the threat seriously, examine how it will impact us locally, and figure out what measures will be most effective. The maps in the Climate Atlas provide detailed climate change projections designed to help Canadians from coast to coast to coast see what climate change looks like in their communities. The documentary videos provide insight and expertise from Canadians of all walks of life who are working to understand and deal with climate change as it affects them where they live. See our “Take Action” section to learn more about how we can reduce our impact on the climate as well as better prepare ourselves for the changes ahead. Government of Canada. Historical Climate Data. Columbia University Earth Institute. Global Temperature. Marcott, Shaun A., Jeremy D. Shakun, Peter U. Clark, and Alan C. Mix. “A Reconstruction of Regional and Global Temperature for the Past 11,300 Years”. Science 339 (8 Mar 2013): 1198-1201. Reusswig, Fritz. “History and future of the scientific consensus on anthropogenic global warming.” Environmental Research Letters 8.3 (2013). Natural Resources Canada. Climate Change: Impacts and Adaptation. Hadley Centre, UK Met Office. What is Climate Change?